U-Car Platform (Cavalier Mk1, Ascona B). 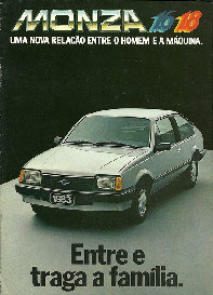 Chevorlet Chevair 1976-1982. 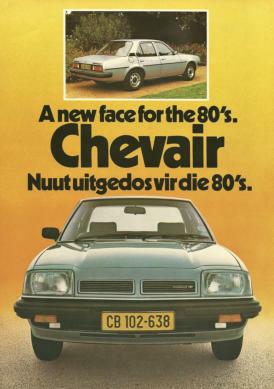 The U car in South Africa was first seen in November 1976 as the Chevrolet Chevair which replaced the larger engine versions of the HC Chevrolet Firenza. 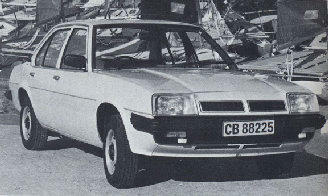 The car was only available as a 4 door Saloon and featured the Cavalier / Ascona body with the Manta front end. Inside the car used the standard dashboard but locally produced seating and trim. At launch it was available in 3 versions, Chevair 2.0litre DL in manual or Trimatic 3 speed Automatic and a 2.3litre Chevair GL. Mechanically it used a version of the old US Chevrolet 153ci 2.5litre in-line 4 cylinder OHV originally designed for use in the entry-level Chevy II/Nova. It was a four-cylinder version of the Chevrolet 230ci in-line six. After use in the Nova the engine was primarily used for industrial forklifts, generators and marine applications. The 153 had a bore of 98.4 mm and a stroke of 82.6 mm. For the Chevair two smaller displacement versions of the engine were used. The larger had a displacement of 2,319 cc and a stroke of 3.0ins with the same bore and was made by Hercules Manufacturing in South Africa. The smaller unit was a narrow-bore 1,960 cc version which had a bore of 3.56ins and was locally made by GM. The car was built by GMSA at the Port Elizabeth plant from a mixture of imported panels from Europe and locally produced panels and trim. 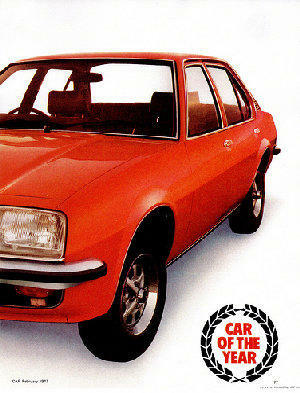 The Chevair was an immediate success and was also awarded 1977 Car Of The Year by Car Magazine South Africa. In 1980 the car received a mild facelift and increased power outputs which remained unchanged until July 1982 when production ended. Unlike in Europe the car was not replaced by the FWD J Car which left a large gap in Chevrolet’s range between the Kadett and the larger Commodore. The rear of the Cehaior is almost idential to the European Opel Ascona B. Chevorlet Ascona 1978-1982. 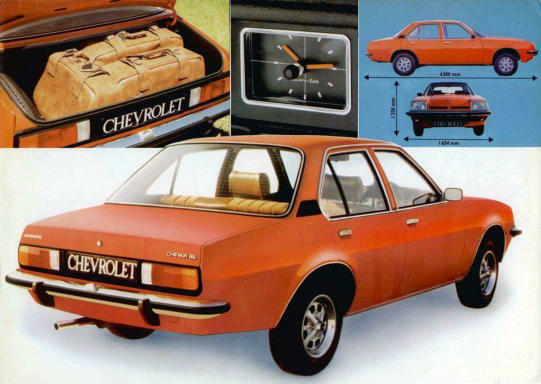 Another U Car was introduced in November 1978 after production of the Chevrolet 1300 / 1900 Saloon and Hatch ceased. 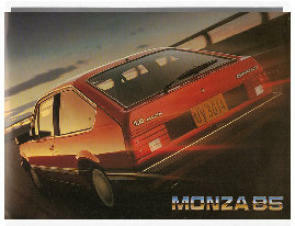 Called the Chevrolet Ascona it was visually similar to the Opel Ascona in Europe and available in two trim levels – Standard and S and one engine the 1256cc Vauxhall unit. J-Car Platform (Cavalier Mk2, Ascona C). Holden Camira The Holden Camira was introduced in Australia in 1982 as a 4-door Saloon and 5-door Estate (Estate was badged as a Cavalier Mk2/Ascona C and also sold in Europe). Engine was a 1.6 with 87 bhp. Specifications were SL, SLIX and SLIE. Revised in 1987. Chevorlet Monza This was the Brazilian version of the car and was introduced in 1982. As well as the 4-door Saloon there was also a 2-door Saloon and a 3-door hatchback which would have sold well in the UK if it had been sold here. Engines were a 1.6 73bhp, 1.8 83bhp, 1.8 95bhp, 2.0 110bhp. Specifications were Standard, SL/E, Classic, S/R. 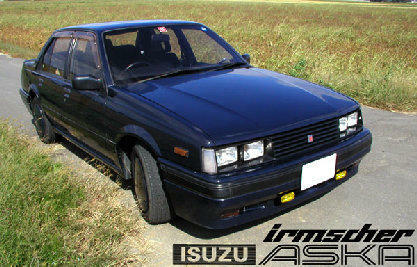 Isuzu Aska The Izuzu Aska was sold in Japan and styled to look more like the Opel Rekord E. It was introduced in 1983. Engines were a 1.9 105bhp, 2.0 150bhp and also a diesel. There was also a special Irmscher edition of the Aska and also a prototype with a Ceramic engine. Daewoo Espero Though looking nothing like any of the other J-Cars the Daewoo Espero is actually based on the J-Car platform the car was styled by Bertone of Italy (Daewoo are a GM subsidiary). 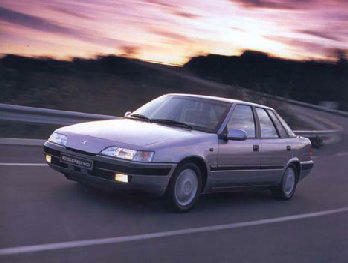 The car was introduced in the UK in 1995 just as the Cavalier Mk3 was being phased out. The car came with either a 1.8 90bp or 2.0 105bhp engine and specification was CD and CDX. 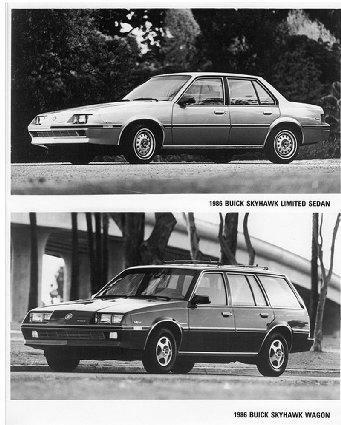 Buick Skyhawk Introduced in the USA in 1982 the Skyhawk was the Buick version the J-Car. 1.8 85bhp, 2.0 87bhp and 2.0 Turbo 168bhp engines were offered. Specification was Custom, Limited, T-Type and Sports. 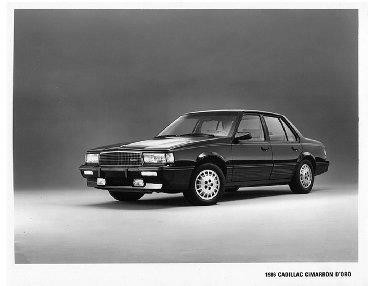 Cadillac Cimarron Sitting a bit higher up the GM brand scale in the USA the Cimarron was introduced in 1981. It was the entry level Cadillac and came with either a 2.0 87bhp or 2.8 V6 128bhp engine. 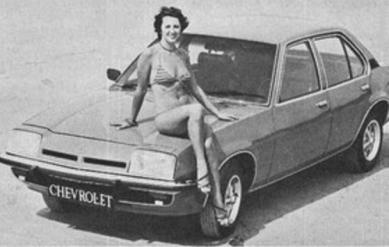 Chevorlet Cavalier Not to be confused with the Chevrolet Monza the Chevrolet Cavalier was a USA only variant introduced in 1981. 2.0 87bhp, 2.0 91bhp, 2.8 V6 128bhp, 2.2 and a 3.1 litre engine were available. Specification was Basic, CS, CL, RS and Z24. 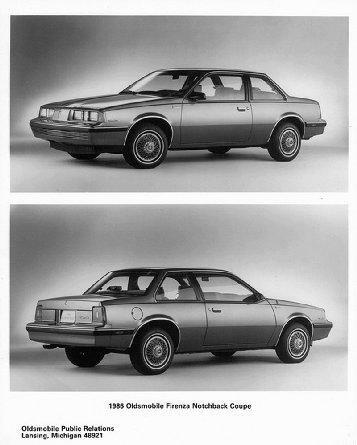 Oldsmobile Firenza Yet another USA variant introduced in 1982 which came with 1.8 85bhp, 2.0 87bhp, 2.8 V6 128bhp engines and specification was Base, LX, S, SX, GT and LC. 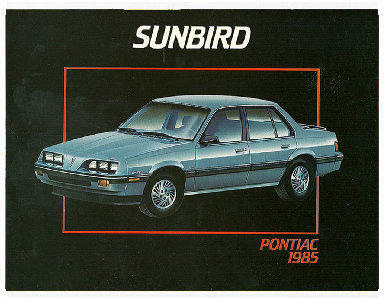 Pontiac 200 (Later Sunbird) Completing the USA line up of J-Cars for GM was the 2000 introduced in 1981. Engines were 1.8 85bhp, 2.0 87bhp and 2.0 Turbo 168bhp. Specification was Base, LE and SE. GM2900 Saab 900 1994-1998 The last generation Saab 900 shares the GM2900 Platform with the Cavalier Mk3 and Vectra A. The car would have looked more like the Cavalier Mk3 and Vectra A but Saab’s Designer’s changed more of the car than they should have done. Shots of the various pictures in the brochure, it would seem Luton's Design studios weren’t the only ones that had a tartan check fetish!Other than the trim the interior and dashboard was fairly basic, and that's the S model the basic Ascona was even more sparse. 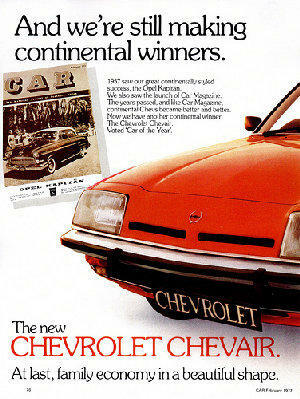 A press advertisement for the Chevrolet Chevair in February 1977 just after winning the Car of the Year award from Car magazine South Africa, the picture is of a 2.3GL model. 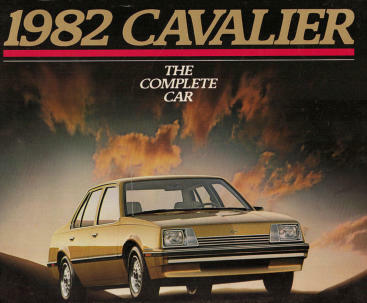 The original launch brochure for the revised Chevrolet Chevair in 1980. 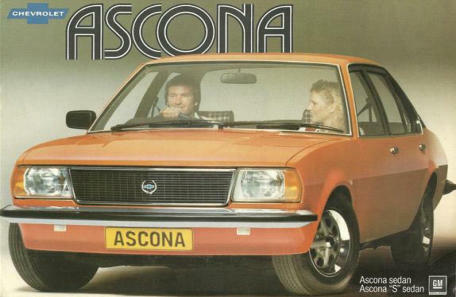 The launch brochure from 1978 for the Ascona.